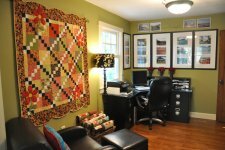 "I finished this quilt well over a year ago and have never gotten around to blogging about it. Isn’t that bad? I made it for my office – or should I say, my husband’s office. "It’s nice and manly right? 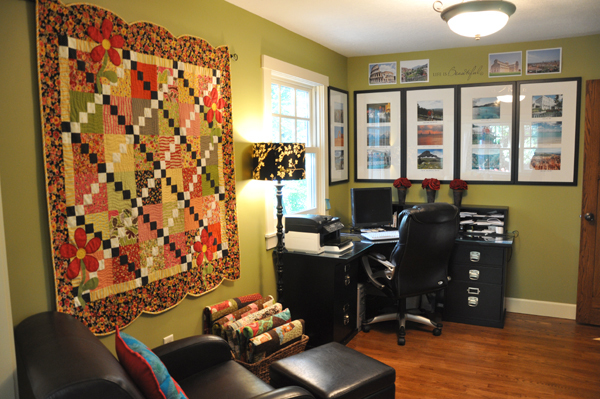 Actually, my poor husband doesn’t have any of his own “manly” rooms in our house, as I can’t bear to give up any quilt/decorating spaces! I guess this room will have to do until we finish up a man cave in the garage. 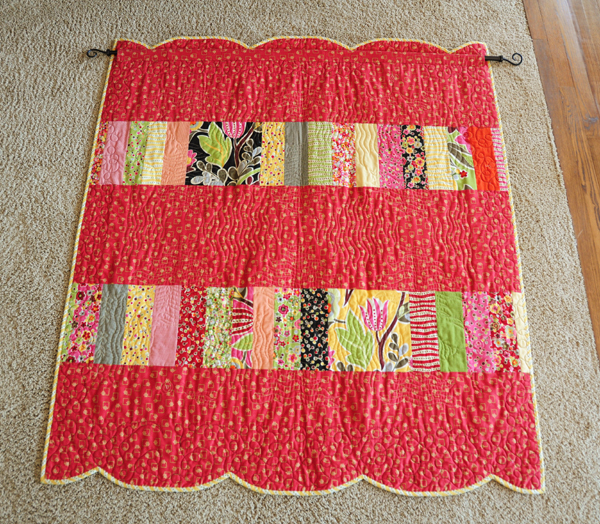 "The reason I am bringing up this quilt, is that I have wanted to do a quick tutorial on binding scallops. 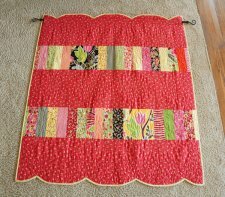 I have done tutorials on lots of binding techniques and I have had some requests to cover scallops as well."